For some time now, live video has been affording viewers access to events and experiences which they would otherwise be unable to enjoy. Live 360° video is even more effective because it creates a sense of being immersed in the moment. By combining the immediacy of live video with the freedom of 360°, viewers receive unrivalled access to the scene or event unfolding in front of their eyes. Unlike standard live video, the view of those watching is not determined by the cameraman or director, but instead by wherever the viewer chooses to "look." An entire spherical view is available, completely engrossing viewers. Additionally, unlike virtual reality, 360° video can be viewed using a headset, a mobile device or on a PC. However, as is often the case with popular innovations, whilst live 360° video brings with it many unique opportunities, it also has its challenges and is not as simple to produce and stream as many would assume. There are several constraints, many of which are wholly distinct from the challenges of standard live streaming, which is relatively simple in comparison. Live 360° video has already come a long way. Without a doubt, it's become considerably more accessible as a result of technological developments and organisations like Facebook, which have fully embraced the medium. Almost everyone in the streaming media business will stress the importance of bandwidth. This is even more of a concern with live 360°, particularly as 4K increases in popularity. At Groovy Gecko, we frequently send engineers to test a site's broadband connectivity prior to an onsite live stream to ensure we will not encounter any bandwidth-related issues. Up until recently, technological restrictions limited the extent to which live 360° video was able to develop. Just last year, during a R&D deployment for a Premier League football club, the box we used to stitch the images together from the multi-camera shoot was around three-and-a-half-foot square and about a foot and a half thick, and the camera rig had a diameter of a metre. But earlier this year we were able capture 360° footage from a F1 car with both the camera and stitching box within the car. To us, it's blatantly apparent that many of the technological challenges we faced only 12 months ago have been allayed. That's great news both for clients and the viewers at home. At the moment, there seems to be a dichotomy between viewers who insist that a certain live 360° video is the best thing they've ever watched, and the producers who worry that it doesn't look good enough. In my opinion, the key is to only live stream in 360° if it will actually enhance the content and improve the viewers' experience rather than simply jumping on the 360° bandwagon. In terms of types of content, we're now seeing a transition away from placing a 360° camera within any environment, to actually considering how to create a decent piece of content based around the camera itself, and therefore the viewer. In order to ensure viewers get the best experience possible, the content must be shot right in the first instance. Some content, where the focal point of the video is moving around a large area for example, can be shot by multiple 360° cameras. Multi-cam filming enables the focal point of the stream to move out of the shot, but be captured by another. 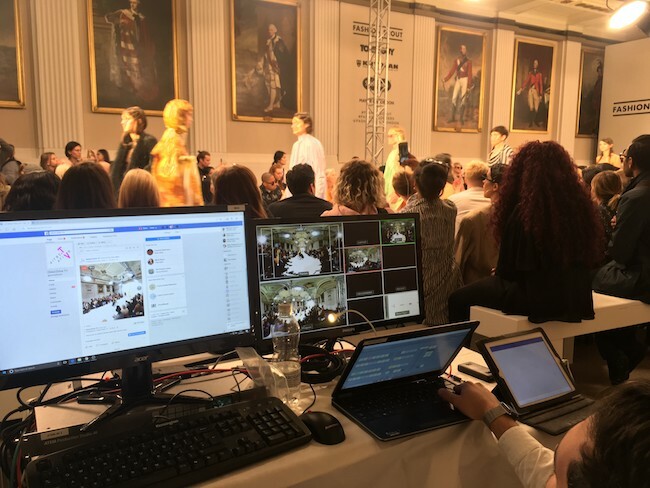 This footage can then be stitched together and vision mixed live, something our team did at London Fashion Week. By using one camera at the end of the catwalk, and the other half way down at a different height, viewers of the live stream were offered multiple angles of the show and didn't miss a single moment. A 360° stream of London Fashion Week featured video stitched from multiple cameras placed at different spots on the catwalk. Perhaps less of an issue for a streaming service provider like us, but still highly relevant, is the composition of live 360° shots. It's extremely difficult to hide crew within 360° shoots for the obvious reason that viewers have no-holds-barred access to the entire environment. Of course, this can be solved with object removal in post-production, or producers can get creative with ways of concealing crew, but it still needs to be considered. Then there's also the issue of the camera shots themselves. Any jarring movements can be seriously off-putting to viewers and can even encourage motion sickness—something likely to significantly reduce a stream's viewer count! The pace of camera shots for live 360° videos also need to be slowed down, to afford viewers time to have a good look around. One of the most important things to remember from a camera operative's perspective is ensuring the focal point of the production is positioned directly in the centre of the camera shot. This might seem obvious enough, but if this is not the case, the entire video can be difficult to enjoy due to the "warp" that occurs during streaming. This is something that happens when the video is converted into a 360°-spherical format, which is what allows the viewer to move the screen around and feel as though they are "in" or at the event. This warp causes the top and bottom of the footage to become slightly spherical and, as such, anything within the outer boundaries of the video can be difficult to make out. The current rate of growth in this sector is remarkable, therefore many of the difficulties listed above will be overcome in the next year or so, clearing the way for live 360° video to flourish. Consumers are swamped with video content daily, becoming switched off to much of what they see and often end up scrolling past. Well produced live 360° cuts through the noise, offering something different and highly engaging. 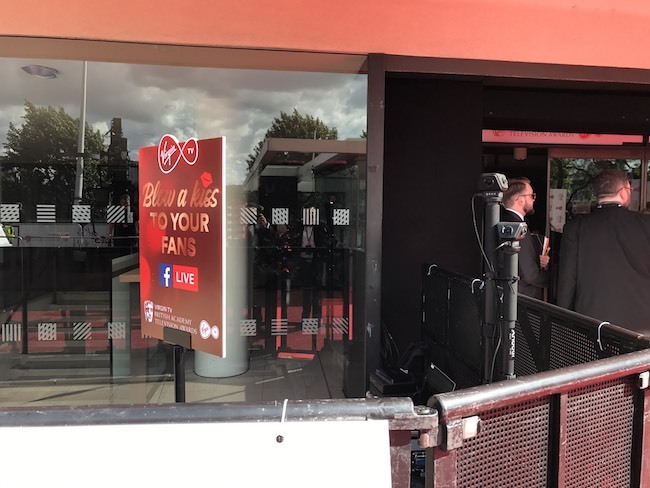 For example, a Groovy Gecko 360° live stream for Virgin Media from the BAFTAs red carpet offered users an interactive 360° video, which allowed the viewer to look around the red carpet as though they were on it. After only an hour, Virgin Media’s live stream had attracted around one-and-a-half times more viewers than the live stream on the official BAFTA Facebook page, which did not feature 360° interactivity. A 360° stream from the BAFTA awards attracted one-and-a-half times the viewers that a non-360° stream did. Something likely to become a prominent form of live 360° video is the hybrid experience. This involves taking television-style concepts and adapting them to create an interactive 360° video version. A recent stream for Renault encapsulated this by offering a 2D/HD stream within a 360° video, offering viewers unrivalled access to Goodwood Festival of Speed and eschewing the generic format of sporting broadcasts. The BBC's Research & Development department believes that the unique value of live 360° video is its ability to take people to places they cannot go, be that a festival, sports event, catwalk, or a remote location. Any type of content where the viewer's experience is enhanced by being able to choose where and what to look at will benefit from 360°. In the near future, as technological challenges are solved, we are sure to see many exciting uses of the 360° format. Look for certified members of Facebook's Live 360° Ready program—a list of products and services independently vetted by Facebook and capable of producing high-quality live 360° streams—to produce and stream top-notch 360° content. This is a vendor-contributed article from Groovy Gecko, which is a member of Facebook's Live 360° Ready program. Streaming Media accepts vendor-contributed articles based solely on their value to our readers.